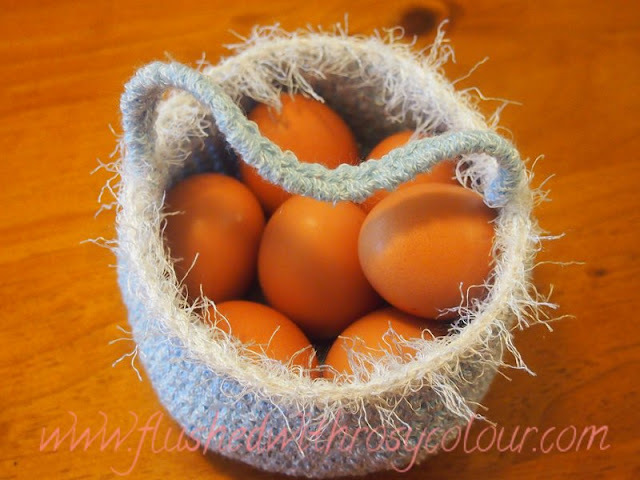 I just quickly made up an Easter basket this morning using some acrylic yarn. It's basically the same idea from a couple of years ago when I made some little red Easter baskets. This time I used two strands of textured blue yarn, and a 4mm hook. 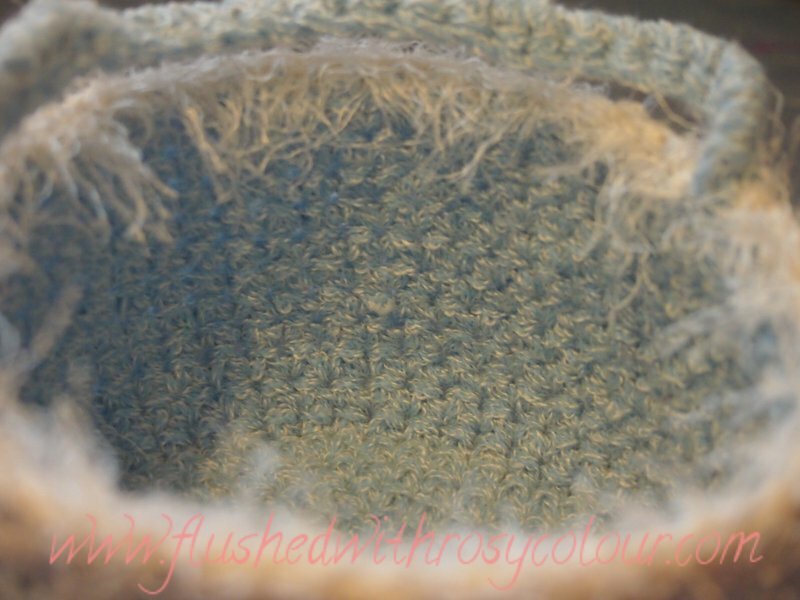 The thickness of the yarn helps hold the basket upright. I finished off with some fluffy craft yarn along the top edge. 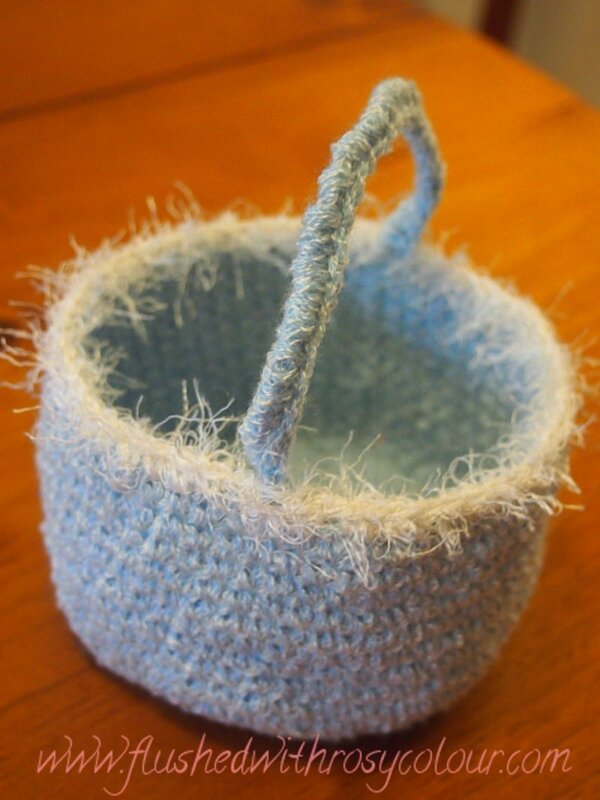 The finished basket measures 11cm across the bottom, and is 7 cm high. The handle can stand up or it can be folded down along half the edge. The handle is simply a chain with a row of sc around it, this gives the handle a little substance.